Litecoin Loan: How & Where To Get A Litecoin (LTC) Loan & Why? Just like Bitcoin has its fan following, Litecoin also has its own. Litecoin is the predecessor of Bitcoin, which is much faster and cheap to transact then Bitcoin. Litecoin has also served as a testbed for Bitcoin from many years. Moreover, Litecoin is one of those cryptocurrencies that we think will survive in the next 5 years as it has been amongst the top 10 cryptocurrencies since its inception. And the good news is that these investors need not sell their litecoins now as they can take loans against their LTC and quench their thirst of extra cash. What Are Litecoin (LTC) Loans? & Why Take it? As I touched upon in the previous section, many investors don’t want to part away with their litecoins. This is because they are highly bullish on LTC and anticipate its future price appreciation. But at the same time, they have their bills to pay for mortgages, or a vacation or something else. That’s why they suffer from this dilemma of selling or keeping their LTC. Crypto collateralized loans such as LTC loan can help such investors to resolve their dilemma. LTC loans are crypto-backed loans where borrowers can keep their litecoins as collateral and get funds as a loan on this collateral at an agreed rate. So this way borrowers can still keep their litecoins as well as fetch USD or EUR loans to fund their other expenses. And once they repay their loan amount they get back their LTC coins back. That’s why to take a Litecoin loan is a better solution than selling your litecoins !! Where To Take Litecoin (LTC) Loans? So through these platforms, Litecoin holders who aren’t willing to part away with their litecoins can take cash loans against their LTC. And once they have repaid the borrowed amount they can get their LTC back. But now the question arises, how to go about it? For this let’s see the example of BlockFi in the next section. How To Take Litecoin (LTC) Loans? 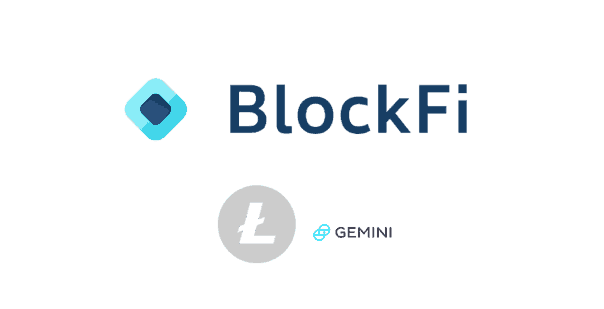 As I shared with you that BlockFi is one of the crypto lending platforms that provide USD loans for Litecoin as collateral. BlockFi achieves this feat by first taking you loan application where they collect minimal personal information. Once your loan application is reviewed and approved, you just need to put LTC as collateral, and within 45-90 minutes you can expect USD in your bank account. Also, it depends upon the amount of collateral you are putting, how much LTV you will get. And this LTV determines how much amount will be sanctioned to you for your collateral. For example, if you are collateralizing 10 LTC worth of $10,000 at an LTV of 50%, then you will be eligible for a maximum $5000 as a loan. Also, when the value of the collateral falls the loan is restructured to prevent loses for the lender and vice-versa when the value of the collateral increase, your line of credit might increase under certain circumstances. As of now, BlockFi is the largest and most affordable crypto-to-USD lender in the U.S. serving in more than 45 states with interest rates starting at 8%, the lowest in the industry. So that’s all from our side in this introductory guide on Litecoin loans. If you are someone who wants to take a loan against Bitcoin, read this guide on Bitcoin loans !! Liked this post? Don’t forget to share it with your network on Twitter & Facebook ! !